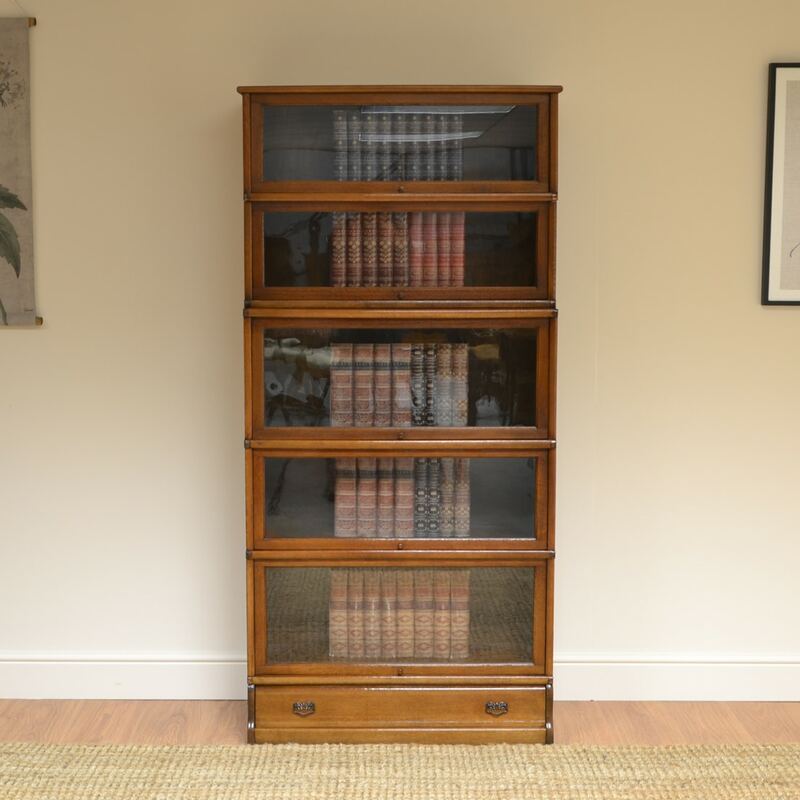 This Handsome Tall Golden Oak Globe Wernicke Stacking Barristers Bookcase dates from ca. 1900 and has five sections each having a glazed door that lifts and slides back using a brass handle. This Handsome Tall Golden Oak Globe Wernicke Stacking Barristers Bookcase dates from ca. 1900 and has five sections each having a glazed door that lifts and slides back using a brass handle. It also has a lower drawer with original handles. 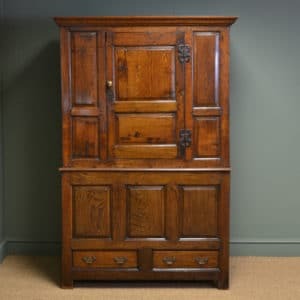 It is a wonderful Golden Oak shade with a striking grain, good patina, is in very good condition and has been beautifully cleaned using a traditional form of wax finishing. 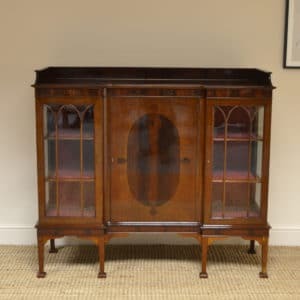 Fabulous piece of furniture and first rate service from James and not forgetting Chris his excellent courier. We travelled right across the country to buy this cabinet but it was totally worth it. Five stars all round. 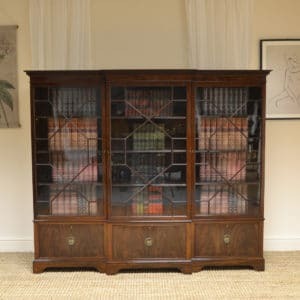 Many thanks indeed for the positive experience of purchasing the bookcase on cupboard. The whole process has been very straightforward from my first email enquiry to the delivery which, thanks to your very helpful courier, took place smoothly this morning. 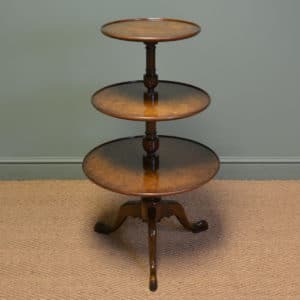 The piece of furniture is exceedingly handsome and even better than it appeared in the online photographs. I shall certainly return to you whenever I am looking for items in the future.